Sri Sivani College of Engineering always stands one among the top five affiliated colleges of JNTU Kakinada in terms of pass percentage. Many times the students of SSCE exhibited their academic talents in achieving university Gold Medals, sometimes a student gets more than one Gold Medal. 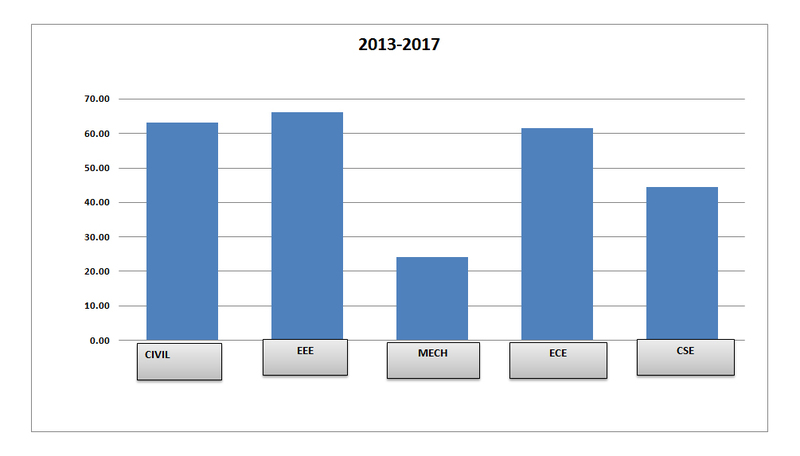 The result analysis graph shows more than ninety percent of students receiving their ‘Engineering Degree’ every academic year.